Stefan Bengt Edberg (Swedish pronunciation: [ˈsteːfan ˈeːd.ˈbɛrj]; born 19 January 1966) is a Swedish former world no. 1 professional tennis player (in both singles and doubles). A major proponent of the serve-and-volley style of tennis, he won six Grand Slam singles titles and three Grand Slam men's doubles titles between 1985 and 1996. He also won the Masters Grand Prix and was a part of the Swedish Davis Cup-winning-team four times. In addition he won four Masters Series titles, four Championship Series titles and the unofficial Olympic tournament 1984, was ranked in the singles top 10 for ten successive years, 9 years in the top 5, and is considered one of the greatest players of his era. Edberg began coaching Roger Federer in January 2014. U.S. fans first took notice of Edberg's professional career when he won the U.S. Indoor in Memphis in February 1985. Edberg's first two Grand Slam singles titles came at the Australian Open. In December 1985, he defeated Mats Wilander in straight sets to claim his first major title. In January 1987, he defended his title by defeating local favourite Pat Cash in five sets to win the last Australian Open held on grass courts. 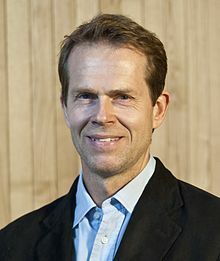 Edberg also won the Australian Open and US Open men's doubles titles in 1987 (partnering fellow Swede Anders Järryd). In 1990, an abdominal muscle injury forced Edberg to retire from the Australian Open final while trailing Ivan Lendl 5–2 (including two breaks of serve) in the third set. Edberg nevertheless took the World No. 1 ranking from Lendl on 13 August 1990 by winning the Super 9 tournament in Cincinnati. He held it for the rest of that year and for much of 1991 and 1992. Edberg spent a total of 72 weeks as World No. 1. In 1991 Edberg again reached the Semi Finals of Wimbledon but lost to Michael Stich in a close match: 4–6,7–6,7–6,7–6. Edberg reached the Finals of Australian Open again in 1992 and 1993, losing both times to Jim Courier in 4 sets. He was one of the few players who reached the finals for Australian Ppen 5 times. The 1993 Australian Open final was Edberg's last Grand Slam singles final appearance. In December 2013 Stefan Edberg began coaching Roger Federer. Edberg is noted as the finest serve-and-volley player of his era and arguably the greatest of all-time. Edberg did not possess a powerful dominating serve like Pete Sampras or Boris Becker, but his serve was still very effective. Edberg often chose to use a less powerful serve, such as a kick or slice serve. The extra time from using a slower serve gave Edberg more time to get to the net, where he used his quick feet and athleticism to gain control of the point at the net. Edberg also had an excellent volley and could easily redirect powerfully struck balls to the open court. He also had sufficient groundstrokes, and his one-handed backhand was one of his marquee shots. Edberg's backhand was one of the most effective and considered the best of his era. Edberg signed a contract to become Roger Federer's coach at the end of 2013. Their collaboration officially started at the 2014 Australian Open. Federer described Edberg's role "more of a mentor than a coach", nonetheless his influence has been widely regarded as pivotal in the Swiss champion's eventual resurgence, especially in bringing effective and more frequent serve-and-volley and net charging to his game. Edberg is considered by Tennis Magazine as the 14th greatest player, counting both male and female tennis players, of the Tennis Era. Counting men only, Edberg ranks eighth. Edberg was a childhood hero of Roger Federer. ^ Edberg Hits Back For First BlackRock Title BlackRock Tour Of Champions, 21 September 2008. Retrieved 26 September 2008. ^ "PowerShares Series Tennis - Player Profile". championsseriestennis.com. ^ Tennis.com – 40 Greatest Players of the Tennis Era, Retrieved 23 October 2008. This page was last modified on 26 October 2016, at 23:23.